Hyundai will be showcasing the 2018 Tucson facelift at the New York Auto Show this month on March 28. The SUV is expected to come with some considerable updates. Hyundai Motor will be revealing the refreshed 2018 Tucson SUV at the upcoming New York Auto Show, on March 28, 2018. This particular Hyundai Tucson facelift has likely been designed specifically for the US market and the SUV is expected to come with a bunch of visual updates along with some new features. Along with the refreshed Hyundai Tucson, we'll also get to see the North American debut of the new-generation Hyundai Santa Fe and the all-new Kona Electric as well at the New York Auto Show 2018. While in India the current-gen Hyundai Tucson has been on sale for less than a year and a half, in the US, the SUV has been on sale for almost three years, which is why Hyundai is expected to make some considerable cosmetic updates and feature additions. It's also likely that when Hyundai India does, in fact, come out with a facelift for the Tucson, the India-spec model could borrow the cosmetic updated from the soon-to-be-revealed US-spec model. 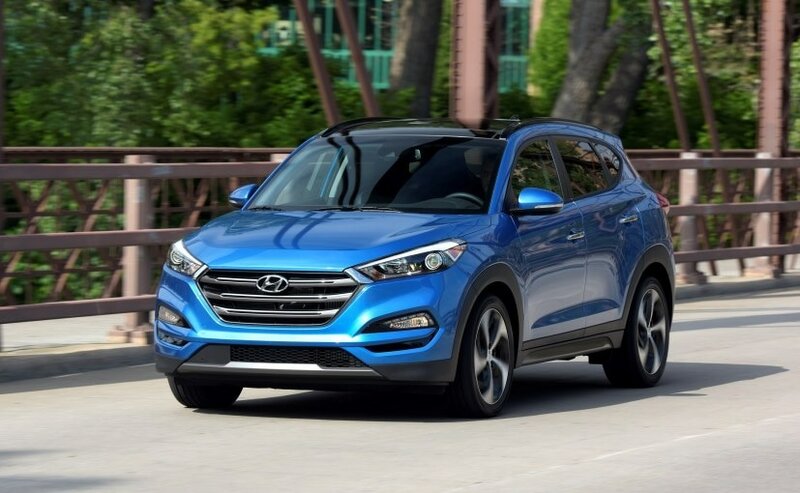 As of now, not much is known about the 2018 Hyundai Tucson facelift, however, based on some of the previously spied prototype models, it has been indicated that the SUV will come with some a new face. Updates will include new headlights with restyled projectors and LED daytime running lamps, a larger grille and possibly a redesigned front bumper. Moreover, the headlights will come in two options- one with LED and technology while the other one will get standard halogen projector units. The SUV is also likely to come with new alloy wheels and an updated rear section with revised LED taillamps, tailgate designed and rear bumper. The cabin is also expected to receive a bunch of new updates, which will be revealed at the NY Auto Show. Engine options are likely to remain unchanged and the Hyundai Tucson facelift will continue to come in both petrol and diesel engine options- a 2.0-litre naturally aspirated petrol engine and a 1.6-liter turbo GDI diesel engine. These engines churn out 160 bhp/ 204 Nm and 170 bhp/ 264Nm respectively. Transmission options include a 6-Speed manual gearbox and a 7-Speed DCT box. Hyundai recently also announced that the 2018 Tucson 'Sport' variant will be equipped with a 2.4-liter inline four-cylinder GDI engine generating about 179 bhp and 237 Nm of torque, mated to a six-speed automatic transmission with SHIFTRONIC manual shift mode.